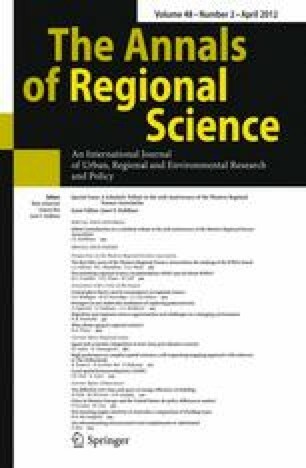 This paper extends the work of McLaughlin (Australas J Reg Stud 1(17):60–80, 2011) by estimating housing supply elasticities of the six Australian capital cities over a longer panel, from 1983–2010. In addition, we extend McLaughlin’s analysis by comparing housing supply elasticities by dwelling type and also test for the presence of longer supply lags than previously examined in the supply literature. Based on widespread implementation of land-use regulations by Australian federal and state governments over the past 30 years, we hypothesize difference in elasticity between housing types is ambiguous, with supply lags greater for multifamily units. We employ the urban growth model of new housing supply developed by Mayer and Somerville (J Urb Econ 48(1):85–109, 2000a) and Mayer and Somerville (Reg Sci Urb Econ 30(6):639–662, 2000b) and employed in Zabel and Paterson (J Reg Sci 46(1):67–95, 2006) and McLaughlin (Australas J Reg Stud 1(17):60–80, 2011), to estimate the elasticity of new housing supply in Australia’s six capital cities—Sydney, Melbourne, Brisbane, Perth, Adelaide, and Hobart—using an unbalanced quarterly panel from 1983–2010. Our findings suggest that the elasticity of new supply is greater for multifamily units than single-family units, while supply response lags for multifamily homes are on the order of 4–8 quarters longer than that of single-family homes. These findings suggest that although Australian land-use policies may be achieving their goal of increasing the supply of smaller, more affordable units, future policies should seek to reduce the extensive supply lags of housing types to help ease short-run price increases.